As the 21st century approached, it was not clear who governed Colombia. With land and power distributed amongst left-wing guerrillas, right-wing paramilitaries, and the state, the government needed to make clear that the rule of law still was in place and to halt the dominance of violence—essential for a working state. From 1948 to the present, civil conflict in Colombia has claimed more than 260,000 lives and displaced more than 5.7 million people. Upwards of 200,000 Colombians continue to flee their homes annually. By the turn of the 21st century, Colombia was considered an almost failed state, so the government needed to commit itself to democracy, create more revenue and jobs, achieve progress in human rights, strengthen the justice system, and destabilize insurgencies and drug-trafficking organizations. A nation’s government cannot achieve all this at the flip of a switch. At the root of a successful evolution are successive peace processes with armed groups, which have opened the door for peace to take hold. Since 2012, President Juan Manuel Santos, a former defense minister who assumed office in 2010, has been negotiating with the region’s most lethal insurgent groups, the Revolutionary Armed Forces of Colombia (FARC, Fuerzas Armadas Revolucionarias de Colombia) and the Army of National Liberation (ELN, Ejército de Liberación Nacional), in an effort to reduce violence. The FARC committed to participation in peace talks, the ELN did not. 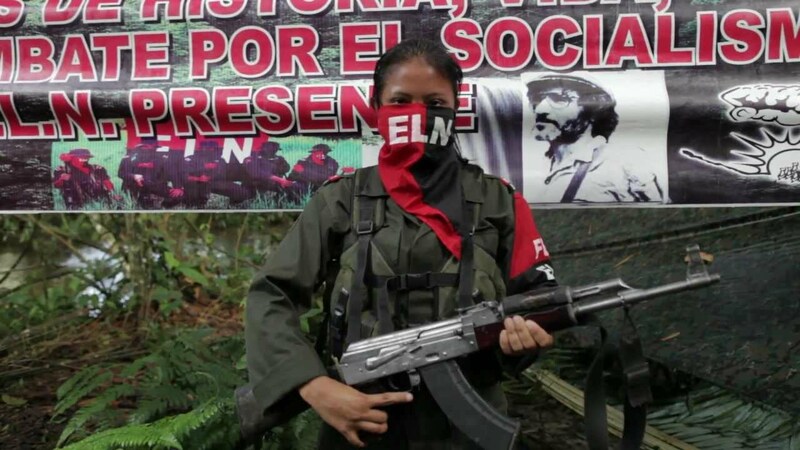 The ELN, which had engaged in past peace efforts with no concrete progress, continues its armed struggle. Negotiations between President Santos and the FARC, by far the largest of the insurgent groups, began three years ago in Norway and continue in Havana, Cuba. A final peace agreement, expected to be agreed on sometime in 2016, would end five decades of armed conflict. This agreement between the government and the FARC would be monumental for the Western Hemisphere, but successful negotiations with other insurgent groups are needed to achieve lasting peace. The first group on which the government needs to re-focus is the ELN. The FARC and the ELN were both founded in the 1960s in the aftermath of a decade of political violence known in Colombia as la Violencia (1948-1958). The two insurgent groups lifted arms against the government when they were excluded from a power-sharing agreement between the Liberal and Conservative parties that ended the war. The FARC was formed as a Marxist militant group by militant communists and peasant groups. The Western Hemisphere’s oldest and largest known insurgent group, the FARC is estimated to have about 8,000 active armed members. The ELN, with a current estimate of 2,000 active combatants, was composed of students, priests, and Catholic radicals who wished to duplicate the Cuba’s communist revolution, led by Fidel Castro. The ELN aims to establish a Christian-Communist regime and end the socioeconomic problems that grip the country. The group seeks equality in social and economic opportunity. So far, the FARC and President Santos have reached agreement on four agenda points: (1) rural land reform including both economic and social development, (2) political participation by the FARC if they comply with the law, (3) the FARC’s cutting ties with the illegal drug trade and abandoning production and trafficking of cocaine, and (4) transitional justice for FARC combatants. Under the terms of the negotiations, however, the FARC will not drop their arms until a final peace deal has been signed, and Santos will not be of any aid to the FARC until both parties come to a strong mutual agreement. The ELN is the second-largest rebel group in the mountains and jungles of Colombia and is not a party involved in the Havana negotiations. Considered more radical than the FARC, the ELN has strongholds in the departments of Arauca and Norte de Santander in northeastern Colombia (bordering Venezuela) and in the department of Nariño in western Colombia (bordering Ecuador). The ELN has also strengthened its presence in southwestern Colombia, where it finances its activities through extortion, taxation, and illegal coca plantations. The ELN’s leaders are said to be interested in peace negotiations as well, but exploratory conversations failed to arrive at an agenda that might lead to appropriate terms for further talks with the government. One consequence is that although the FARC has declared a unilateral cease-fire, the ELN’s presence in areas traditionally under FARC control has reportedly increased. Like the FARC, the ELN has been in past rounds of failed peace negotiations but does not share with the FARC a committed interest in being a part of a joint peace treaty with the government. It states, “The ELN wishes to hold its own peace talks with the Colombian government, separate from those of the FARC.” The ELN seeks a process that could address its own political and social agenda; items would include questions of national sovereignty, mining and extractive industries, environmental concerns, democratization and popular participation. Although they are similar to points focused on for the government’s prospective deal with the FARC, the ELN seeks structural changes that represent what they have been fighting for since 1965, instead of going through a demobilization process. With only about a quarter of the members as the FARC has, however, the ELN holds minimal leverage in peace negotiations. The vicious cycle of violence and corruption has drained Colombia of essential resources needed to construct and sustain a modern state. The ELN, for example, reportedly bombed oil pipeline infrastructure in North Santander. Coming to terms with both insurgent groups can reduce violence and the number of victims of conflict. 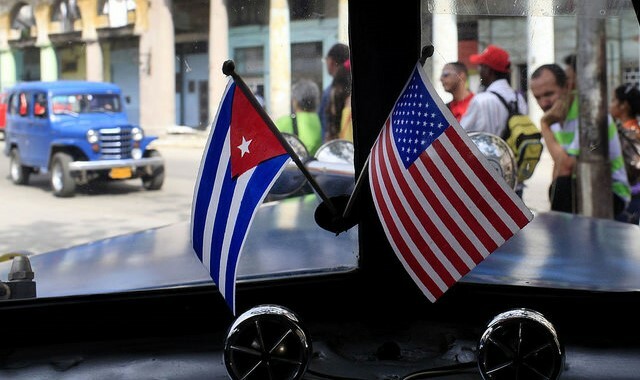 The U.S. embassy in 2014 described “security gains” since 2002 as “dramatic,” with murders reduced by 45 percent, political assassinations by 87 percent, reported kidnappings by 91 percent, and terrorist attacks by 91 percent. Since 2002, more than 54,000 paramilitaries and guerrillas have demobilized and attacks against oil pipelines have dropped by 71 percent. For FARC members who do not wish to drop their arms in the bilateral ceasefire agreed upon in Havana, there is the option of joining the ELN, which has reportedly allowed FARC members to transfer to its own ranks. FARC guerrillas have supported the ELN in various confrontations with criminal groups in Bajo Cauca, a lowland subregion in the department of Antioquia. The ELN has strengthened its forces since a truce between the ELN and the FARC agreed to in December 2009 that may have gone into effect in 2011; there is evidence that the ELN has increased its violence since 2009. For mid-level commanders and foot soldiers of the FARC, transferring to the ELN are a way to continue doing what they did with the FARC. The ELN has pacts with criminal bands engaged in drug trafficking and other illicit activities. Relying on making money from kidnappings, the ELN has not brought in nearly as much revenue as the FARC; but with the FARC restricted from involvement in drug trafficking, the ELN could fill that vacuum: If the FARC—which according to the U.S. government are responsible for 60 percent of cocaine exported from Colombia to the United States—is abandoning their drug trafficking infrastructure across Colombia, the ELN could use the opportunity to take on drug trafficking as a new source of income. Last November the Colombian Armed Forces discovered “one of the biggest cocaine laboratories ever found in the western department of Nariño,” a complex run by the ELN capable of producing seven tons of cocaine per month. Nariño is one of Colombia’s main coca producing regions, but previously better known for FARC-run laboratories than for labs operated by ELN guerrillas. Considering the ceasefire and the FARC’s prospective demobilization, the ELN may be next in line to sweep up the lucrative drug laboratories. If the FARC demobilizes, there is likely to be violent competition for control of its drug trafficking routes and mining interests as the FARC abandons these illicit enterprises. The ELN has shunned drug trafficking for many years as “antirevolutionary” but apparently are reconsidering. Transitioning from exploratory talks to public peace negotiations would also place a ceasefire restriction on the ELN and could put a stop to its rising level of activity. Another advantage of the ELN’s inclusion into the peace negotiations would be a reduction of deaths and maltreatment of Colombians under the age of 18. Sources indicate that both the FARC and the ELN have forcibly recruited minors. According to the New York Times, the United Nations reports that about 250,000 children have been recorded as displaced in the last three years by the violence between the government and guerrilla groups. Furthermore, an estimated one thousand more Colombian children were used or recruited by non-state armed combatant groups. Moreover, during the same span of three years, 200 children have been killed or wounded by land mines. “No child in Colombia today knows what it is like to live in a country of peace,” said Robert De Bernardi, a UNICEF representative in Colombia. He said that even if a peace agreement is reached, he feared children would still be at the risk of violations such as recruitment and land mines and sexual exploitation. As of December 2014, some 6 million persons were registered as internally displaced, about 35 percent of them children. The United Nations verified 343 cases of recruitment and use of children by armed groups in 22 departments and in Bogotá. A total of 198 children were recruited by the FARC, and another 52 by the ELN. A March 2013 article by Colombia Reports reported that the Defense Ministry estimated that since 2011 more than a thousand child soldiers had been recruited by guerrilla groups. The Group for Humanitarian Attention of Demobilized People (organized under the National Ministry of Defense) says the FARC and the ELN recruited 1,387 children from 2011 to 2013. The Putumayo and Nariño departments in southwestern Colombia reportedly have been most vulnerable to child recruitment. As the FARC’s presence in western areas such as Valle del Cauca, Chocó and Nariño declines, ELN activity seems to be on the increase. ELN presence has been reported in Valle del Cauca and Cauca, home to drug routes to the pacific. About 80 percent of child combatants in Colombia belong to either the FARC or ELN. Human Rights Watch have reported that between 20 and 30 percent of the insurgents’ recruits are minors, most them forced to join the FARC. Any agreement signed in Havana will be submitted to the people of Colombia in a referendum. Due to negotiation complications and a lack of success in coming to terms with the FARC, President Santos extended the negotiations past the original set deadline of March 23. If both the FARC and the ELN were to agree to peace with the government, Colombia could witness demobilization of some 10,000 insurgent group combatants. Conflict involving the two groups over the past half century will come to an end after the deaths of over 250,000 people and the internal displacement of more than 5.7 million citizens. If the ELN is not a part of the peace negotiation and does not come to terms with the Colombian government, armed conflict and violence will continue. The time window is small, and the opportunity of half a century may be missed. Now is the time for the people of Colombia, their government, and both insurgent groups to reach a final appropriate solution and, at last, bring peace. Featured Photo: ELN. Taken from PrincipioEsperanza. 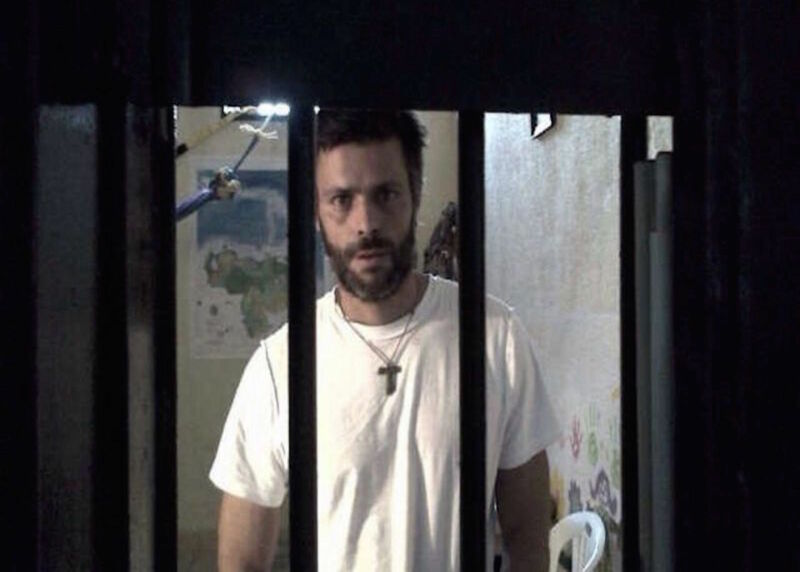 Santos, Manuel. “Colombia: Its Transformation and Future Challenges.” Speech, Wilson Center, Washington D.C., February 03, 2016. “Human Rights Watch Analysis of Colombia-FARC Agreement.” Human Rights Watch. December 21, 2015. Accessed February 20, 2016. https://www.hrw.org/news/2015/12/21/human-rights-watch-analysis-colombia-farc-agreement. Pastrana, Andrés Arango. Plan Colombia: Plan for Peace, Prosperity, And the Strengthening of the State. Bogota: Imprenta Nacional De Colombia, 1999. Renwick, Danielle. “FARC, ELN: Colombia’s Left-Wing Guerrillas.” Council on Foreign Relations. February 2, 2016. Accessed February 04, 2016. http://www.cfr.org/colombia/farc-eln-colombias-left-wing-guerrillas/p9272. “Colombia Steps up Fight against ELN Rebels after Attack.” BBC NEWS. February 9, 2016. Accessed February 10, 2016. http://www.bbc.com/news/world-latin-america-35529606. Illingworth, Erica. “Colombia and the ELN.” Washington Report on the Hemisphere. Diaz, ANA MARÍA, and Fabio Sánchez. “A Geography of Illicit Crops and Armed Conflict in Colombia.” Economia.uniandes.edu. March 2014. Accessed March 03, 2016. https://economia.uniandes.edu.co/files/7d09Illicit_crops_and_Conflict_CEDE_d2004-19_English_Version.pdf. “3 Police Killed, 7 Wounded in Attack in Eastern Colombia.” Colombia Reports. February 27, 2016. Accessed February 28, 2016. http://colombiareports.com/3-police-killed-7-wounded-in-attack-in-eastern-colombia/. Alsema, Adriaan. “Guerrillas and Paramilitaries Impose Terror in West Colombia; Hundreds Flee.” Colombia Reports. February 29, 2016. Accessed March 1, 2016. http://colombiareports.com/humanitarian-emergency-in-west-colombia-as-guerrillas-and-paramilitaries-impose-terror/. “Plan Colombia.” U.S. Embassy. Accessed March 03, 2016. http://bogota.usembassy.gov/plancolombia.html. Abierta, Verdad. “5 Challenges Criminal Economies Pose for Post-Conflict Colombia.” Insight Crime. February 15, 2016. Accessed February 16, 2016. http://www.insightcrime.org/news-analysis/five-challenges-criminal-economies-post-conflict-colombia. Beittel, June S. “Peace Talks in Colombia.” Federation of American Scientist. March 31, 2015. Accessed February 20, 2016. https://www.fas.org/sgp/crs/row/R42982.pdf. Yagoub, Mimi. “Colombia Discovers ‘Giant’ ELN Cocaine Lab.” Insight Crime. November 19, 2015. Accessed February 20, 2016. http://www.insightcrime.org/news-briefs/colombia-discovers-giant-eln-cocaine-lab. “Colombia.” United States Department of Labor’s Bureau of International Labor Affairs. Accessed March 03, 2016. https://www.justice.gov/sites/default/files/eoir/legacy/2014/09/26/colombia_0.pdf. Gladstone, Rick. “Colombian Children Pay High Price Amid Peace Talks, U.N. Says.” New York Times, March 19, 2016. Accessed March 19, 2016. http://www.nytimes.com/2016/03/20/world/americas/colombian-children-pay-high-price-amid-peace-talks-un-says.html. “Colombia.” Office of the Special Representative of the Secretary-General for Children and Armed Conflict. June 5, 2015. Accessed February 26, 2016. https://childrenandarmedconflict.un.org/countries/Colombia/. Jolly, Alexandria. “Colombia Guerrilla Groups Recruited 1400 Child Soldiers since 2011: Report.” Colombia Reports. March 13, 2014. Accessed March 03, 2016. http://colombiareports.com/guerrilla-groups-recruited-1387-child-soldiers-past-two-years-report/. “ELN Violence Escalates.” The Bogota Post. March 11, 2016. Accessed March 11, 2016. http://thebogotapost.com/2016/03/11/eln-violence-escalates/. Alsema, Adriaan. “ELN Appears in FARC Territory While Both Talk Peace with Colombia’s Government.” Colombia Reports. February 29, 2016. Accessed March 1, 2016. http://colombiareports.com/instead-of-agreeing-to-peace-talks-eln-enters-farc-territory-indigenous/. “Colombia: Armed Groups Send Children to War.” World Rights Watch. February 21, 2015. Accessed February 20, 2016. https://www.hrw.org/news/2005/02/21/colombia-armed-groups-send-children-war.